Nikolai was an explorer, "one of the most well-known Russian celebrities of the 1870s and 1880s" who would return from his adventures with collections of exotic plants and animals. Interestingly, the Russian government commissioned the men Nikolai loved as lieutenants in the army, which gave them a salary. 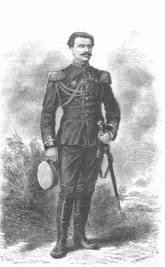 This entry on Przhevalsky gives more details on his expeditions: General Nikolay Przhevalsky was Imperial Russia’s most famous explorer. He made four equestrian journeys in Central Asia, crossing the Gobi desert, the Tian Shan mountains and exploring northern Tibet before dying on expedition in today’s Kyrgyzstan. An avid naturalist, Przhevalsky is credited with making hundreds of discoveries including the wild Bactrian camel and the Przhevalsky horse, which is named after this famous Long Rider. Nikolai's books about his travels and adventures were translated into other languages and "avidly read in England and America." 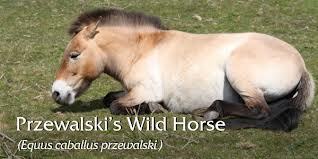 The Przhevalsky Horse - the original wild horse - was discovered by him during an expedition in Mongolia, and is named after him. 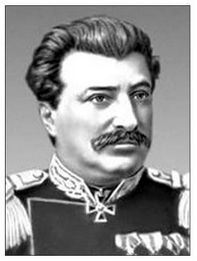 Nikolai Przhevalksy being a famous explorer, a Russian, and a man who loved other men is something to celebrate! I read about Nikolai on pg. 372 of Queers In History, and on page. 350 of Simon Karlinsky's chapter on "Russia's Gay Literature and Culture: The Impact of the October Revolution" in "Hidden from History: Reclaiming The Gay and Lesbian Past" Edited by Martin Duberman, Martha Vicinus & George Chauncey, Jr.
Look at how the Olympic machinery leapt into action when the snow was getting too soft - how they got all this salt from Switzerland in 24 hours - just in time to save the day. Interesting how when it comes to the human dignity and equal rights of LGBTQ people, there isn't that same sense of urgency - and there needs to be!